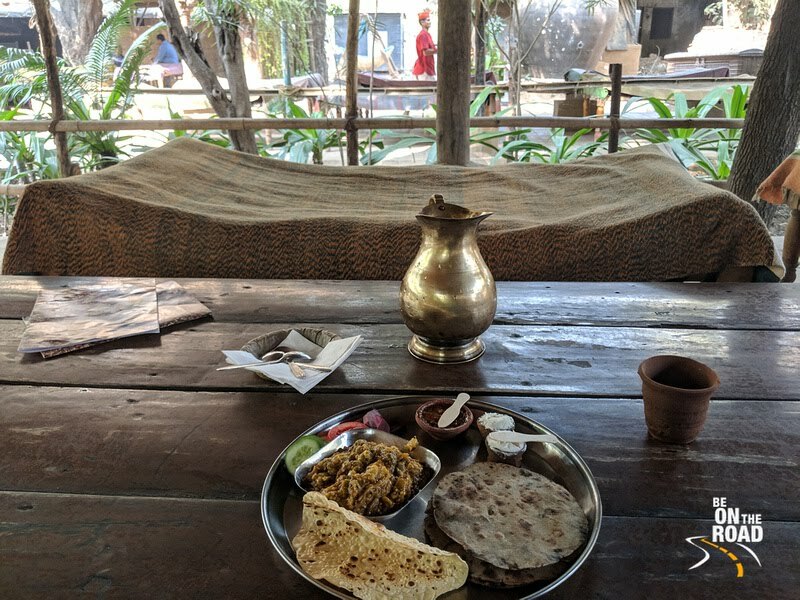 Ahmedabad’s Vishalla Restaurant: Lip Smacking Gujarati Food served in a Rustic Setting - Be On The Road | Live your Travel Dream! A trip to Ahmedabad isn’t complete without tasting some of its traditional food. If you ask me, Gujarati cuisine has to be one of the better ones in the world of Indian gastronomy. 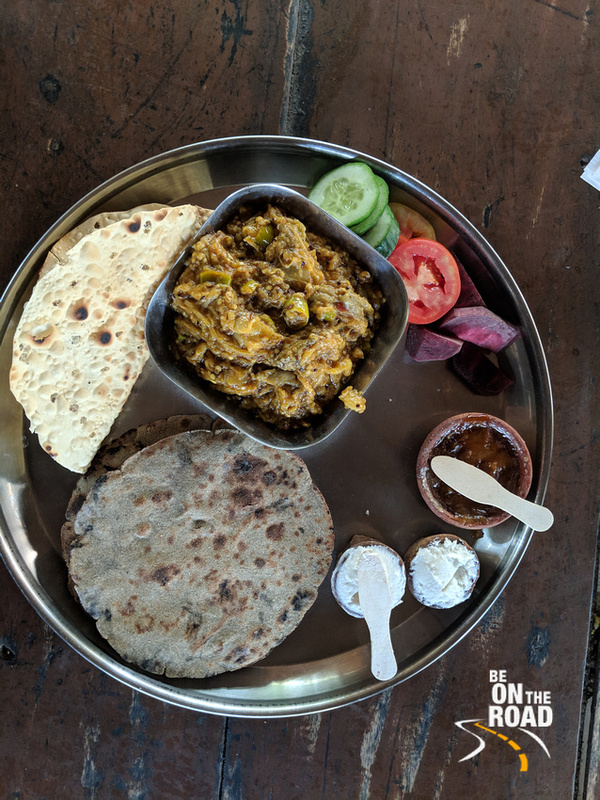 In one of my earlier posts, I had talked about Chandravilas restaurant, a 120 year old restaurant located in the heritage city of Ahmedabad for your pick of traditional Gujarati breakfast. This article is for those traditional Gujarati lunches and dinners in the city of Ahmedabad. 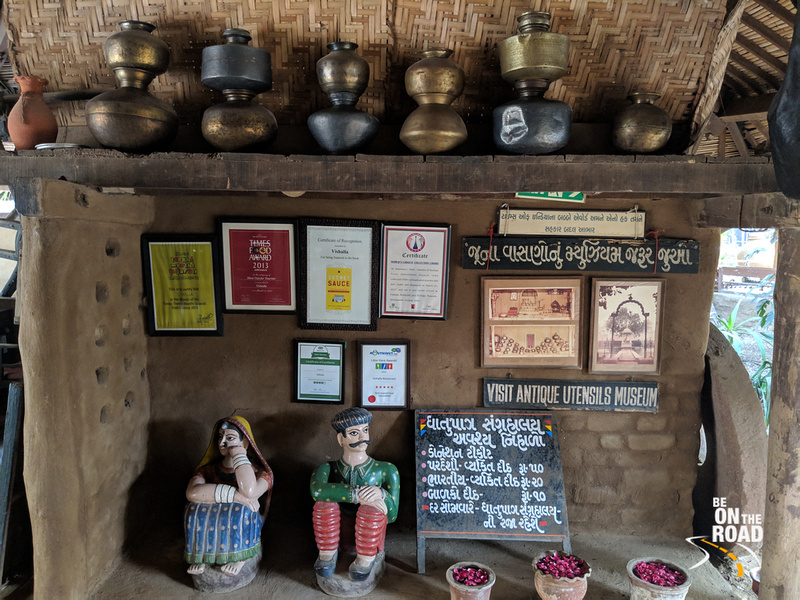 And the place that I want to talk about is Vishalla Restaurant, traditionally themed and that serves Gujarati heaven in a true rustic setting. Communal eating style, in-house cow farms, vegetable and fruit produce procured straight from the farmers and a menu to die for are some of the trump cards of Vishalla restaurant. 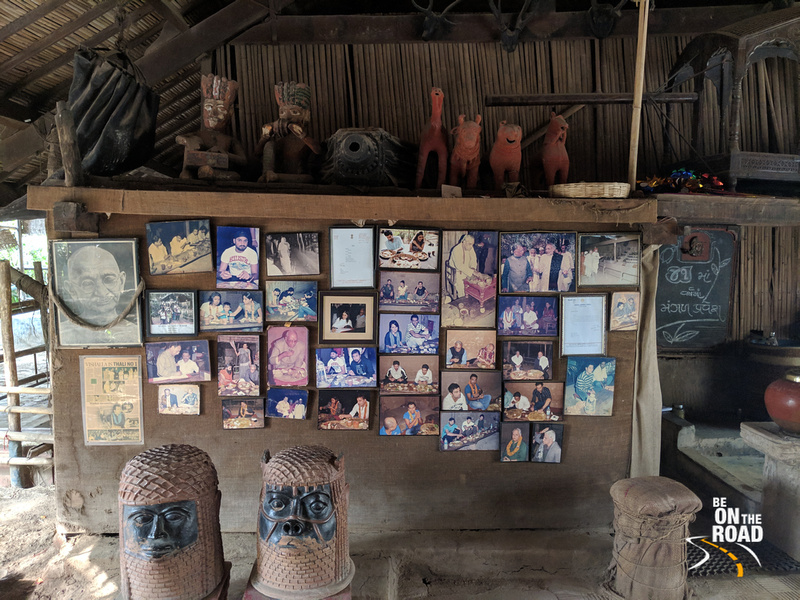 And all of this is served in a lovely green space that is beautifully done up with mud huts, thatched roofs, traditional utensils, environment friendly practices and a super hospital staff decked up in rustic style clothing. It is the kind of place where you are transported to gastronomic heaven with every bite. It is that kind of place that should be visited by every food lover in Ahmedabad. It is that kind of place where you arrive for brunch and leave late after dinner. The Gujarati Thali is the main attraction to be experienced here. Costing about 650 rupees per plate, it is only recommended to those who can pack a serious appetite as it consists of everything from bhakri, Bajri na rotla, Makai na Rotla, Khichdi, Thepla, Kadhi, Farsan, Shak, chutneys, salads and sweets and that can knock you out for a good many hours. If you cannot handle the mighty Thali, you can opt for any of the above through the a-la-carte menu. The quantity is still very decent and the price is a bit lower. If you love milk products, don’t miss out their lassi, butter milk and fresh tea as their in-house cows make the taste legendary. If you have a sweet tooth, you can try anything from Sukhdi, shiro, Jalebi, Gulab Jamun, Churma Ladoo, Gaajar na Halvo, Handvo, Doodhi na Halvo to Kopra Pak and Magas Ladoo. Each item is bound to take you to the stars and back. The price is a bit on the higher side, but the quality and taste is un-paralleled and hence I think it is total value for money. The makkhan (white butter) made in-house from the milk of the cows in their farm is possibly the best makkhan I have had in many years. And each item from the menu that I had made me croon with joy. And hence it is of no wonder that esteemed personalities like Narendra Modi, Mahendra Singh Dhoni, Yuvraj Singh, Harbhajan Singh and many others have visited this place. And all of them have sat cross legged in these mud huts and enjoyed the Gujarati food specialties without any air-conditioning or other modern day luxuries that we crave for these days. Such is the aura of the food served here! So, the next time you visit India’s only UNESCO World Heritage city of Ahmedabad, do remember to drop in to Vishalla restaurant for lunch or dinner. You won’t be disappointed.